IRNA – Representative of Supreme Leader of the Islamic Revolution Alireza Adyani said that 30,000 police officers will safeguard Arabeen rituals in Shalamche, Mehran and Chazabeh Borders. Speaking to the Islamic Republic News Agency (IRNA) on the sidelines of visiting Shalamche border, Adyani said creating security for pilgrims is the most important mission of police. Police is responsible for maintaining security for over 2 million pilgrims of Arbaeen, he added. 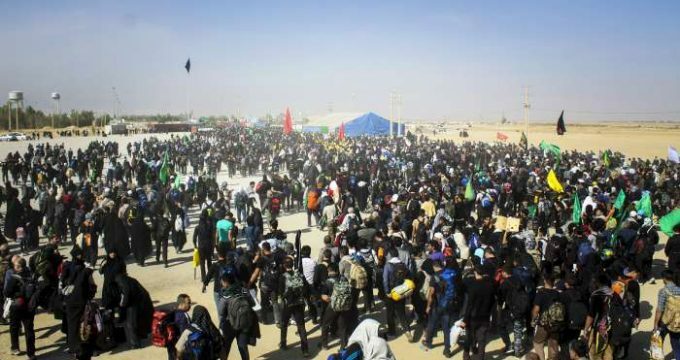 The Arbaeen mourning ceremony is one of the largest religious gatherings in the world. It marks the 40th day after the martyrdom anniversary of the grandson of Prophet Mohammad (PBUH), Imam Hussein (AS), the third Imam of the Shia Muslims. Every year millions of Iranians travel to the holy cities of Iraq to make an Arbaeen pilgrimage. This year Arbaeen falls on October 30.